RBKC has granted detailed planning consent for the new Exhibition Square and Gardens, part of Sir Terry Farrell’s consented Masterplan for the Earls Court development. The Exhibition Square plans will create a gateway to the Earls Court scheme and the proposed new high street area, including a public square and gardens, a signature hotel, offices and an entrance to Earl’s Court Underground station. Exhibition Square is the final part of the consented Earls Court development masterplan to receive detailed consent. The detailed designs were brought forward for consultation by Earls Court Partnership Limited*, a joint venture between Capco (Capital and Counties PLC) and Transport for London, in summer 2016. Outline consent for the Earls Court development masterplan was granted in 2013. The Exhibition Square Garden plans (139,000 sq ft) include two buildings designed by architect KPF, creating 69,000 sq ft of hotel and 62,000 sq ft of office space. Exhibition Square Garden offers 3000 metres squared of open public space which constitutes the beginning of a new retail, food and beverage thoroughfare that will connect North End Road in the west to Warwick Road in the east. The adjacent Exhibition Square Gardens creates 1300 metres squared of green space and public frontage off Warwick Road. A new Underground station entrance will also be provided, connecting the development directly with Earl’s Court Underground Station. 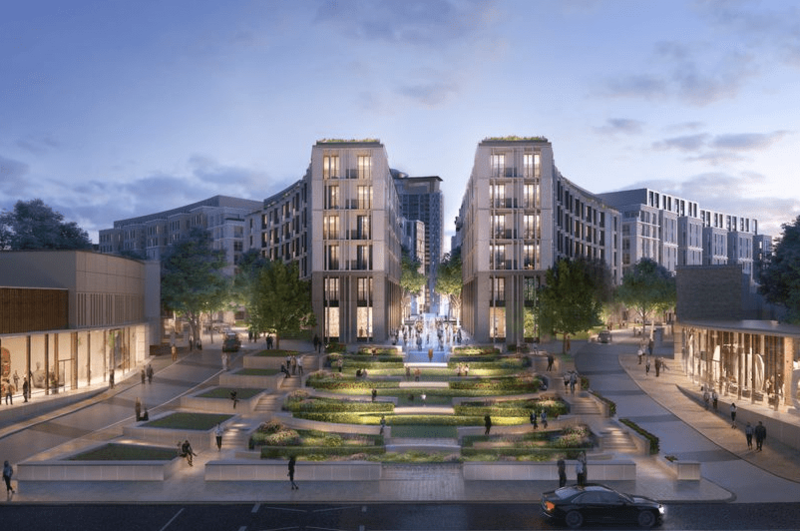 Earlier this year Capco consulted on proposals for a 400-home development at Empress Place. Details can be found on the website www.myearlscourt.com. * Earls Court Partnership Limited (ECPL), an innovative joint venture with Transport for London. ECPL is owned 63% by Capco and 37% by TfL. For further details on the Earls Court development and other planning matters in the Earl’s Court area, please contact Malcolm Spalding, ECS Chairman and the ECS Planning Group on malcolmspalding007@gmail.com.